David Spurrett studied philosophy at the former University of Natal, and at King’s College London, and has taught philosophy since 1991. He graduated with his PhD in metaphysics in 2000, and since then has co-edited and co-written several books, and many papers, mostly on topics in the philosophy of science, cognitive science and metaphysics. His research has involved collaborations with linguists, psychologists, economists, psychiatrists, legal scholars, anaesthetists and even other philosophers. His current research is largely focused on questions at the intersection of philosophy of biology and philosophy of cognitive science. 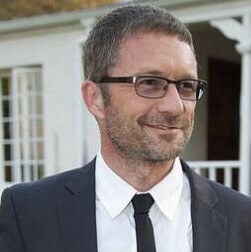 Among the awards and honours he has received are the Vice Chancellor’s Research Award (Natal, 2003), the Distinguished Teacher’s Award (Natal, 2003), the Colenso Scholarship at St John’s College, Cambridge (2003), a President’s Award from the National Research Foundation (2002), and an NRF ‘B’ rating (2010 and 2015). He’s had many years of experience in University administration, including membership of the Council and Senate of UKZN, and formerly serving as a Head of School. His term as Dean of SRPC commenced in mid 2017. 2006- Philosophy, University of KwaZulu-Natal: Professor. 2004-2005 Philosophy, University of KwaZulu-Natal: Associate Professor. 2002–2003 Philosophy Programme, University of Natal, Durban: Senior Lecturer. 1999–2001 Philosophy Programme, University of Natal, Durban: Lecturer. 1992–1998 Department of Philosophy, University of Natal, Durban: Part-time lecturer, leave substitute lecturer and tutor, including three years on contract as a Junior Lecturer. 1993 Department of Philosophy, University of Durban-Westville: Guest lecturer for one module at honours level (part time). 1991–1992 Department of Philosophy, University of Durban-Westville: Leave substitute lecturer (part time). 1990 Department of Classics, University of Natal, Durban: Assistant Curator, Museum of Classical Archaeology (part time). 2009 National Resarch Foundation ‘B3’ research rating. 2003 Distinguished Teacher’s Award, University of Natal (two awarded annually); Vice-Chancellor’s Research Award, University of Natal (one awarded annually); Colenso scholar, spending one term (Easter 2003) at St John’s College, Cambridge. 2002 National Research Foundation President’s Award (three awards nationally for 2002). 1998/9 Three year Visiting Research Fellowship in Philosophy at King’s College, London; Association of Commonwealth Universities split-site Doctoral Scholarship; Centre for Science Development (South Africa) Overseas Doctoral Scholarship. 1994 University of Natal Doctoral Research Scholarship (two awarded annually). 1989 Notcutt Prize for Philosophy. Areas of Specialisation: Philosophy of Science, Cognitive Science, Metaphysics. Areas of Competence: Philosophy of Mind, Epistemology, Behavioural Economics, Early Modern Philosophy (especially Descartes), Postmodernism and Science, History and Philosophy of Early Modern Science, Critical Reasoning, Health Policy. History of Modern Philosophy, Epistemology, Philosophy of Science, Philosophy of Cognitive Science, Philosophy of Biology. PhD and Masters supervision in epistemology, philosophy of cognitive science, and metaphysics. Spurrett, D. (2014) ‘Philosophers should be interested in ‘common currency’ claims in the cognitive and behavioural sciences’, in The South African Journal of Philosophy. Spurrett, D. (2014) ‘Cui bono? Selfish goals need to pay their way’ (Commentary on Huang and Bargh), Behavioral and Brain Sciences, 37(2), pp155-156. Spurrett, D. (2014) ‘A map of where? Problems with the ‘transparency’ dimension’ (Commentary on Bentley et al), Behavioral and Brain Sciences, 37(1), pp 100-101. Spurrett, D. (2013) Dis-integrating Galileo: A Commentary on Pablé, Social Epistemology Review and Reply Collective, 3(1): pp. 23-27. Spurrett, D. (2013) “Reduction and the Unity of Science” (Encyclopedia entry) in Encyclopedia of Philosophy and the Social Sciences (Edited by Byron Kaldis), SAGE. Spurrett, D. (2011) ‘Hooray for Babies’, South African Journal of Philosophy, 30(2), pp197-206. Spurrett, D. (2011) ‘Reason is normative and should be studied accordingly’ (Commentary on Elquayam and Evans), Behavioral and Brain Sciences, 34(5), pp 267-268. Collins, P., Stein, D.J., Pretorius, A., Sinclair, H., Ross, D., Barr, G., Hofmeyr, A., Sharp, C., Spurrett, D., Rousseau, J., Ainslie, G., Dellis, A., Kincaid, H., & Bak, N. (2011) ‘Addressing problem gambling: South Africa’s National Responsible Gambling Programme’, South African Medical Journal, 101(10), pp. 722-723. Ross, D., Kincaid, H., Spurrett, D. & Collins, P. Eds. (2010) What is addiction?, Cambridge, Mass. : MIT Press. Ross, D., Vuchinich, R., Sharp, C., and Spurrett, D. (2008) Midbrain Mutiny: The Picoeconomics and Neuroeconomics of Disordered Gambling, Cambridge, Mass. : MIT Press. Ross, D., Spurrett, D., Kincaid, H., and Stephens, L. Eds (2007) Distributed Cognition and The Will: Individual Volition and Social Context, Cambridge, Mass. : MIT Press. Ladyman, J. & Ross, D. with Spurrett, D. & Collier, J. (2007) Everything Must Go: Metaphysics Naturalized, Oxford: Oxford University Press. Spurrett, D. (2010) ‘Why ‘Appeals to Intuitions’ might not be so bad’, South African Journal of Philosophy, 29(2), pp156-166. Spurrett, D. and Murrell, B. (2010) Measuring Dispositions to Bundle Choices. In: Ross, D., Kincaid, H., Spurrett, D. & Collins, P. (eds.) What is addiction?, Cambridge, Mass. : MIT Press. Spurrett, D. (2009) Need there be a common currency for decision-making?, South African Journal of Philosophy,28(2), pp210-221. Spurrett, D. (2009) Inaugural Lecture: Philosophy Enough, South African Journal of Philosophy, 28(1), pp 47-68. Ross, D., Ladyman, J. & Spurrett, D. (2007) In Defence of Scientism, in Ladyman, J. & Ross, D. with Spurrett, D. & Collier, J. Everything Must Go: Metaphysics Naturalized, Oxford: Oxford University Press, pp 1-65. Spurrett, D. (2006) ‘Reductionisms and physicalisms’, South African Journal of Philosophy, 25(2), pp. 163-174. Spurrett, D. (2005) ‘Computer Supported Development of Critical Reasoning Skills’, in the International Journal of Education and Development using Information and Communication Technology, 1(2), http://ijedict.dec.uwi.edu/viewarticle.php?id=44&layout=html. Spurrett, D. (2004) ‘Computer Supported Development of Critical Reasoning Skills’, in H Griesel (ed), Curriculum Responsiveness: Case Studies in Higher Education. SAUVCA: Pretoria (ISBN # 0-620-33085-6), pp159-183. Dellis, A. and Spurrett, D. (2003) ‘Real Patterns and Distributed Cognition’, AlterNation, 10(1), pp 105-131. Spurrett, D. (2003) ‘Why think that cognition is distributed?’, AlterNation, 10(1), pp 292-306. Spurrett, D. (2001a) ‘Cartwright on Laws and Composition’, International Studies in the Philosophy of Science, 15 (3), pp. 253-268. Spurrett, D. (2001b) ‘What Physical Properties Are’, Pacific Philosophical Quarterly, 82 (2) pp. 201-225. Spurrett, D. and Jackson, C-A. (2001). ‘Virtually incomprehensible: pros and cons of WWW-based communication and education’, South African Journal of Information Management, volume 3, Number 1. Spurrett, D. (2000) ‘Bhaskar on Open and Closed Systems’, South African Journal of Philosophy, 19 (3), pp. 188-208. Spurrett, D. (1999a) ‘Fundamental Laws and the Completeness of Physics’, International Studies in the Philosophy of Science, 13 (3), pp. 261-274. Spurrett, D. (1999b) ‘Lyotard and the Postmodern Misunderstanding of Physics’, Theoria, 93: Science and Civilisation, pp. 29-52. Spurrett, D. (1999c) Review article of Cilliers, P. 1998. Complexity and postmodernism (London: Routledge), South African Journal of Philosophy, 18 (2), pp. 258-274. Spurrett, D. (1998) ‘Transcendental Realism Defended: A Response to Allan’, South African Journal of Philosophy, 17 (3), pp. 198-210. Spurrett, D. (1997) ‘Beyond Determinism’, South African Journal of Philosophy, 16 (1), pp.14-22. Spurrett, D. and Martin, J. (2010) ‘“Very like a whale”: Analogies about the mind need salient similarity to convey information’ (Commentary on Knobe), Behavioral and Brain Sciences, (33), pp 350-351. Meadon, H. and Spurrett, D. (2010) ‘It’s not only the subjects – there are also too many WEIRD researchers’ (commentary on Henrich et al), Behavioral and Brain Sciences, (33), pp 44-45. Baker, D-P., Beck, S. & Spurrett, D. (2006) Editorial: New Developments at the SAJP, South African Journal of Philosophy, 25(2), pp. 89-90. Ross, D. and Spurrett, D. (2006) ‘Evolutionary psychology and functionally empty metaphors’, (commentary on Lea & Webley) in Behavioral and Brain Sciences, 29(2), pp. 192-193. Ross, D. and Spurrett, D. (2005) ‘Behavioral (pico)economics and the brain sciences’, (commentary on Ainslie), Behavioral and Brain Sciences, 28(5), 659-660. Baker, D-P., Beck, S. & Spurrett, D. (2005) Editorial, South African Journal of Philosophy, 24(2). Baker, D-P., Beck, S. & Spurrett, D. (2004) Editorial, South African Journal of Philosophy, 23(4). Spurrett, D. & Dellis, A. (2004) ‘Putting infants in their place’ (Commentary on Falk), in Behavioral and Brain Sciences27(4), pp. 524-525. Spurrett, D. (2003) ‘What about embodiment?’ (Commentary on Anderson and Lebiere), in Behavioral and Brain Sciences, 26(5), p 620. Spurrett, D. (2002) ‘Information Processing and Dynamical Systems Approaches are Complementary’ (commentary on Shanker and King), in Behavioral and Brain Sciences, 25 (5), pp. 639-640.